« Are you a tourist or a traveler? It has now been more than a year since I moved to Denmark, and I have been enjoying it thoroughly. I haven’t been posting as much as I would have liked about my own experiences living abroad, but I guess that is part of the busy times you face when moving to a new country. Now that I’ve passed the one year mark and the experiences start to repeat itself – start of the new fall semester, Christmas coming up again (big deal here in Denmark!) – I feel quite settled. When looking back on this year, the first few months were busiest because that’s when most of what is new comes your way and you have to arrange a myriad of practical details. This is where I had a lot of great help by my very own local host – one of my colleagues informally took on that role which helped me greatly in figuring out all kinds of practical stuff (especially also because I didn’t speak the language at all in the beginning). An additional challenge has been learning the language. Although it helps that I am Dutch – especially for understanding the written language – understanding the Danes themselves is the biggest struggle for me. 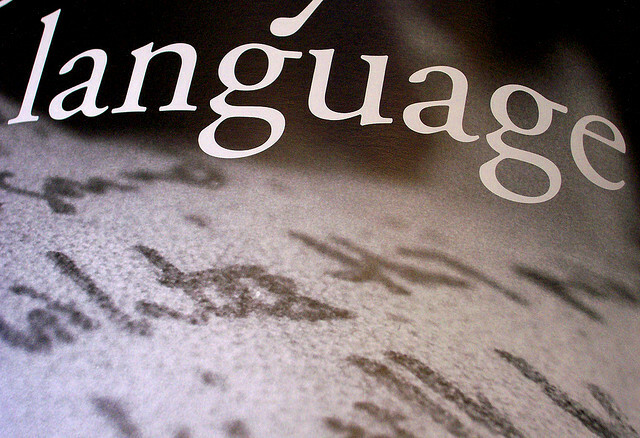 The Danish linguist Ruben Schachtenhaufen nicely put it when he said that the Danes pronounce their language ‘in a muddy way’ (1) because they leave out many of the consonants and have up to 45 ways to pronounce their vocals. But then, happily, there are also some easy things, like the fact that they don’t really conjugate their verbs. Just one form of the verb for I/you/he/we/they for each tense. That makes life a bit easier! All in all I really enjoy life in Denmark. I very much appreciate the beautiful landscape, the ironic sense of humour and the emphasis on ‘hygge’ (or ‘gezelligheid’ in Dutch) – they even have a verb for it! I am curious, though, what this winter will bring – as the past winter has been so soft it might be a bit tougher this time around! 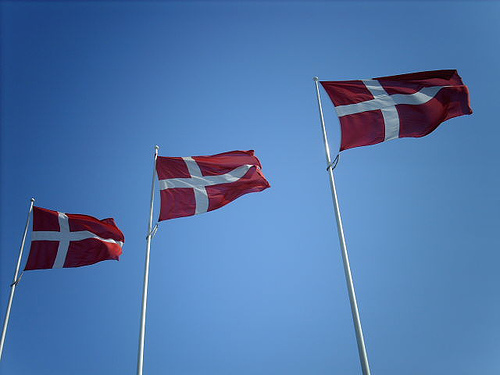 Photo of Danish flags by Hugovk and of ‘Language’ by Shawn Econo via Flickr.